It seems that every year the Center for Disease Control puts out a warning regarding an E. Coli breakout. 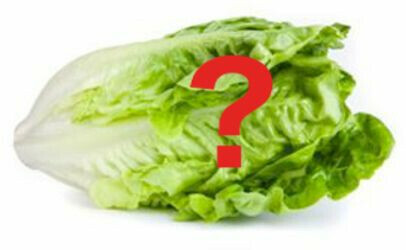 This year, Romaine lettuce is in the news. E. Coli lives in the digestive tract of many animals. For humans, E. Coli is a gastrointestinal disease which occurs when we eat E. Coli contaminated food, such as under-cooked hamburger, sprouts, leafy greens and raw milk. The most common source comes from agricultural applications of improperly used composted animal manure. The onset of symptoms can occur anywhere from 2 - 8 days after eating contaminated food. Symptoms range from diarrhea, stomach cramps and vomiting. Recovery can take as long as 7 days. If symptoms continue or become worse, call your doctor. A big red flag would be symptoms of low urine output and extreme fatigue. Wash hands with soapy water for 20 seconds. Keep raw food separate from ready-to-eat foods. Make sure when shopping, your raw meats are placed in separate bags - away from all fruits & veggies. Avoid unpasteurized milk and ciders. Use a thermometer to verify temps. Beef / Pork / Lamb / Roasts should be at 145 degrees F.
Ground meats, other than poultry should be at 160 degrees F.
Poultry and leaftover casseroles should be at 165 degrees F.
If it is green and leafy, try to buy organic. Despite these measures, if you do acquire E. Coli, do not take any over-the counter anti-diarrhea medications. Our bodies need to naturally get rid of the E. Coli bacteria that is in our GI tract. Also, it is important to drink plenty of clear fluids to stay hydrated. As a general rule, antibiotics are not prescribed except for extreme cases. Other medications may be prescribed by your physician based on individual symptoms. And of course, rest, rest, and more rest! Welcome to the Faith Community Nurse Blog! As part of my nursing ministry at St. Paul Lutheran Church I will be writing monthly blogs on health issues incorporating a holistic approach which entails healing the whole person: body, mind and spirit. Our bodies cannot maintain harmony and balance to ward off disease and stay healthy if our physical, mental and spiritual health are compromised. Each month we will take a look at a different disease, focus on healthy aspects of fruits/veggies/herbs, and answer questions that you may have for me.